TARL has thousands and thousands of photographic prints, slides and negatives in our collection, dating from the early 1920s through present day. Currently we receive digital photographs almost exclusively, but the collection includes a variety of older formats—even glass plate and silver nitrate negatives. The nitrate negatives in particular are a challenge to maintain, as they are somewhat volatile and must be stored in freezing temperatures. The photos are (mostly) project and site specific and in many cases are a glimpse of not only sites found during the early years of Texas Archeology, but also the archeological methods used through time and Texans’ life in general. 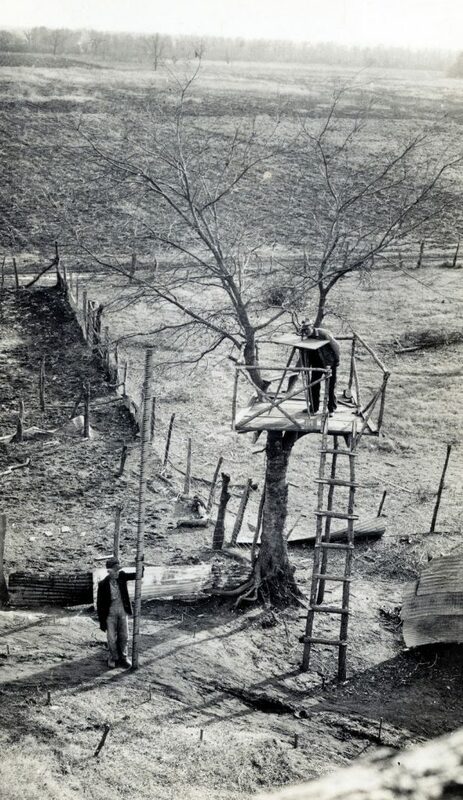 The photographs taken during the WPA archeological projects, for example, show distinctive methods such as the stair-step type of excavations done at deeply buried sites and raised platforms for mapping and taking photos. 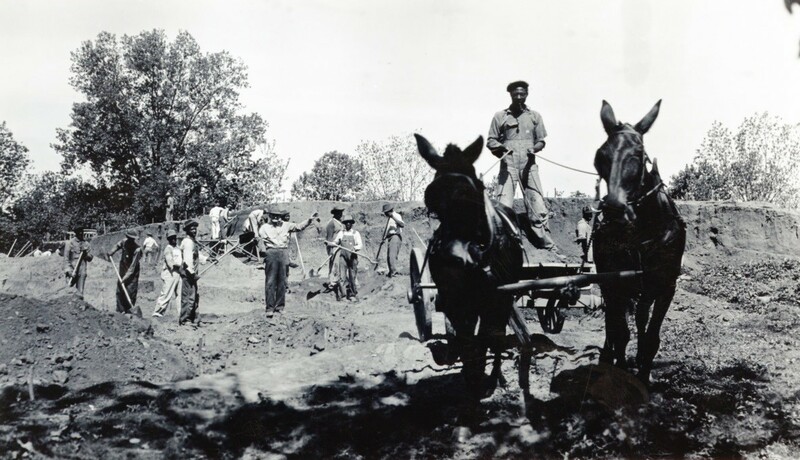 These photographs also show the local people hired during the Depression to work on archeological sites, adding an element of human interest and historical documentation. TARL’s photographic collection is available for students, professional and avocational researchers to use. Please let TARL staff know ahead of time so we can assist with identifying and retrieving the photographs you have requested. Professional archeologists doing contract projects are charged for using TARL’s records, photographs, and maps. Any photos to be used in a for-profit publication will also incur a fee. TARL does not charge for pro bono or student work. 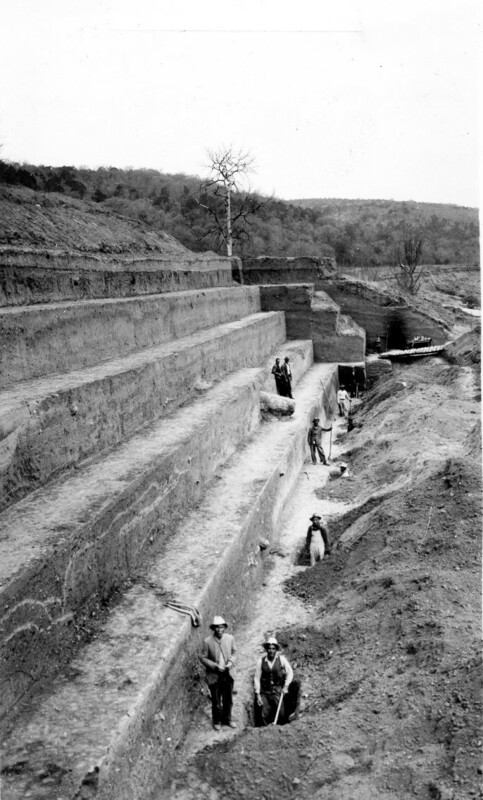 Photo from TARL photographic archive: Site 41TV41 Step excavation—west wall (1938-1939). Photo from TARL photographic archive: Site 41BW3 Datum station—taken from camera tower to the north (1938). 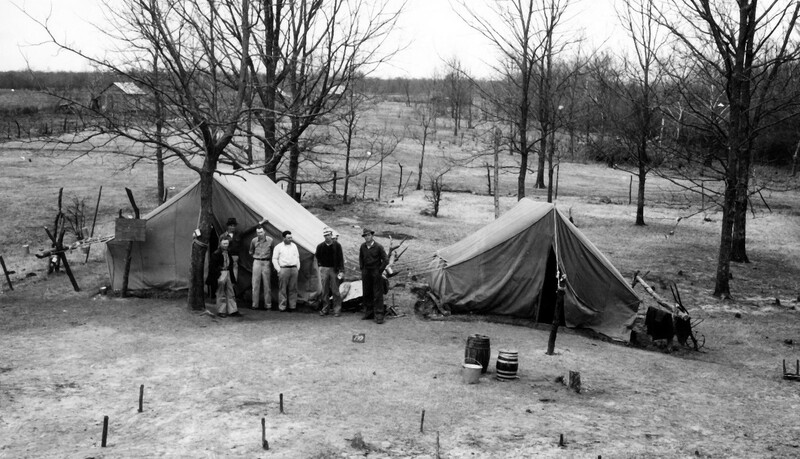 Photo from TARL photographic archive: Site 41BW3—Staff in front of office tent (1938). Photo from TARL photographic archive: Site 41BW3, Men using wagon and team to haul excavated earth (1938).